The federal government has announced in their May 2017 budget that they will build the Western Sydney Airport (WSA) in Badgerys Creek with flights expected to start taking off by the year 2026 (10 years from the announcement date). The federal government will invest $5.3 Billion ($5,300,000,000) in a new corporation which will build & operate the airport. Flights are expected to start taking off in 2026 so the project timeline is 10 years. This announcement comes after Sydney Airport decided not to build the Western Sydney Airport as it was to much of a financial risk for current shareholders & was not expected to make a profit in the short term, which would hurt it’s current business. This news is great for those living around the airport site & great news for the residents of Western Sydney which will benefit of having an airport which they can use which is much closer to home. The airport will be a solid infrastructure project & the catalyst for the so-called “Western City” project which is expected to be centered around the airport. It will be one of 3 major cities in Sydney (the other two being the Central City based around Parramatta & the Eastern City based around the Sydney CBD). 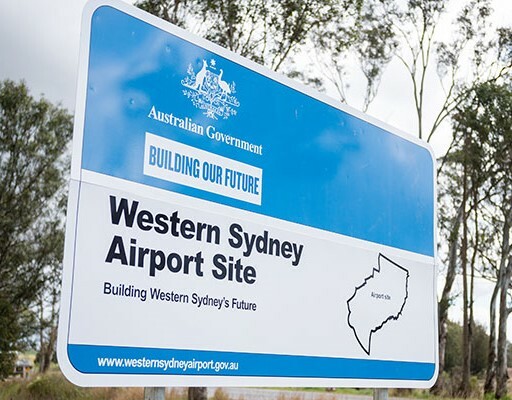 Now the question remains whether the Western Sydney Airport will be connected by rail & what kind of provisions will be included in its blueprints for a rail connection in the future.